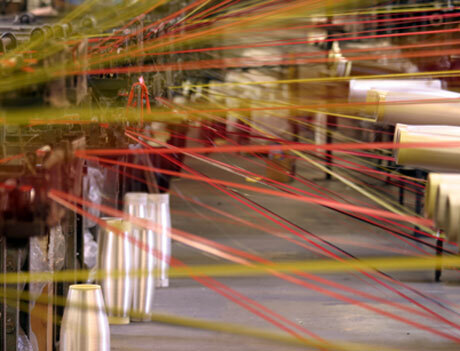 Waltrich Plastic (WP) extrudes monofilament yarns, weaves narrow fabrics and manufactures twisted ropes. The monofilament yarn includes both polypropylene (PP) and polyethylene (HDPE) in single end or multi-end packages using high quality homopolymers. Denier size ranges from 200 – 2000. The narrow fabrics are woven using either polypropylene or polyethylene or a combination of both, and also polyester. Sizes range from ½” to 4” wide in various colors and patterns. Twisted rope is available in sizes up to 5/16” using either polypropylene or polyethylene. Polyester seine twine #96 is also manufactured. Additives such as UV stabilizers, fire retardants and optical brighteners can be added per customer specifications. Custom colors are available. Email or call our knowledgeable sales staff for pricing and information.